Nogales remains undefeated: It takes a lot of the right players to make the big plays at the right time to have an undefeated season. The Nogales High School football team is doing all the right things in the right way right now. 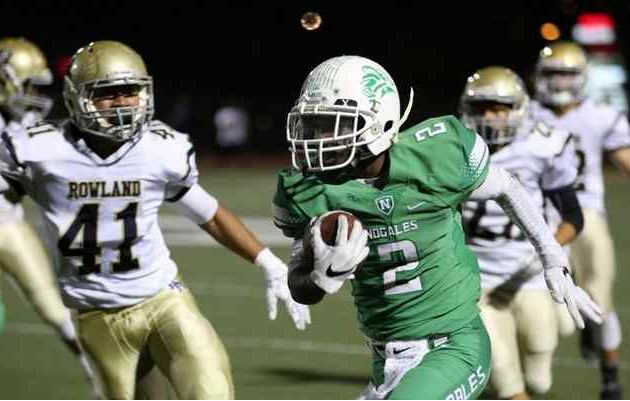 The Nobles came up with the big plays when it counted and remained undefeated (5-0) with a 35-0 shutout against rival Rowland in front of a soldout crowd at Nogales’ stadium on Friday night. Arroyo knocks off unbeaten South El Monte: Shortly after the Arroyo High School football team posted a 38-14 win over South El Monte in a key Mission Valley League game on Friday, the Knights posed for a team picture on the field. The Kodak moment didn’t last long. Arroyo head coach Jim Singiser, angered his team was celebrating a late-September win, yelled for his players to break their pose, get off the field and get on the bus. It’s that type of business-like thinking that’s helped the Knights become the Mission Valley League’s gold standard and has them well on their way to yet another league championship. Bishop Amat wins in final seconds: All signs pointed to overtime between Mission League football foes Bishop Amat and Notre Dame of Sherman Oaks on Friday night. But no one told the Amat defense, as the Lancers forced two second half turnovers and scored 17 unanswered points to defeat the Knights 17-14 on the road.The winning 22-yard field goal came with five seconds left on the clock and off the foot of Shazel Sakr. Duarte comes up short: Maranatha scored touchdowns after its defense forced turnovers on back-to-back plays, pacing the Minutemen to a 23-7 win over visiting Duarte in nonleague action. With Maranatha (2-2-1) holding a 3-0 lead midway through the second quarter, a good punt backed up the Falcons to their own 7. On Duarte’s first snap, quarterback Devon Hemsley, in the grasp of a defender, tried to avoid a safety by heaving the ball away. But the ball went almost straight up and after Minutemen defensive end Sabien Rivera recovered in the end zone, the play was ruled a fumble recovery for a touchdown. Bishop Amat 17, Notre Dame 14 — After trailing 14-0, Shazel Sakr booted a game-winning 22 yard field goal in the final seconds. Nogales 28, Rowland 0 — Everything advertised to be, very disciplined and workmanlike in easy win over the Raiders to stand undefeated. Arroyo 38, South El Monte 14 — Arroyo is the undefeated truth killers, beating previously unbeatens Rowland and South El Monte. Rosemead 41, Mountain View 20 — Finally gets first win and much needed in Mission Valley. Azusa 42, Pomona 27 — Curious if the Aztecs will be a factor in Montview with Nogales and Duarte looking like favoties. Maranatha 23, Duarte 7 — After 3-0 start, back-to-back losses to tough Whittier Christian and Maranatha. Sierra Vista 17, Garey 14 — The Dons are having a good year, only loss to Baldwin Park in overtime. Victor Valley 63, Bassett 7 — Probably an opponent the Olymians didn’t need to schedule. La Puente 30, Workman 20 — Always a good rivalry and this lived up to it with Warrors squeezing it out. PASADENA — El Monte High School football coach Eric MacIntyre said he had a feeling his team would start slow against Marshall. He proved to be right when his team trailed, 13-3, in the second quarter. But the Lions came roaring back, scoring 34 unanswered points in a 37-19 win in Mission Valley League play on Thursday night at Pasadena High. El Monte took a 17-13 lead it never relinquished early in the third quarter when quarterback Andrew Ramos scored on a 2-yard touchdown run. The Lions made is 24-13 a few minutes later when Kevin Molina picked up a fumble and ran it 36 yards for a touchdown. Romero iced the game in the fourth quarter when he scored his second and third touchdowns. The first was a 16-yard run. The second was a 22-yard run. Northview 3, San Dimas 2 — Kaylee Sadler had 21 kills and eight digs, Julia Hooper had 12 digs and four aces and Jordan Lueras had four aces for the Vikings (13-6, 3-0) in a 21-25, 25-17, 15-25, 25-20, 15-12 Valle Vista League win. Bishop Amat 3, St. Genevieve 0 — Camille Ferguson had 11 kills and three aces and Lucy Zhao had eight kills and two aces for the Lancers (14-11, 1-3) in a 25-11, 25-13, 25-17 Camino Real League victory. Duarte 3, Sierra Vista 0 — Jocelyn Portillo had 10 kills and Anadina Morales had nine kills and eight aces for the visiting Falcons (10-7, 3-0) in a 25-11, 25-16, 25-14 Montview League victory Wednesday. Gladstone 18, Workman 0 — The Gladiators (10-1, 4-0) swept the Lobos in a Montview League match. Walnut 234, Chino 274 — Francesca Perez shot 42, Katie Ochoa and Jodi Burgess both shot 56, Erika Kelley shot 58 and Soliel Carbajal shot 62 for the Cowgirls (4-3) in a Hacienda League loss. 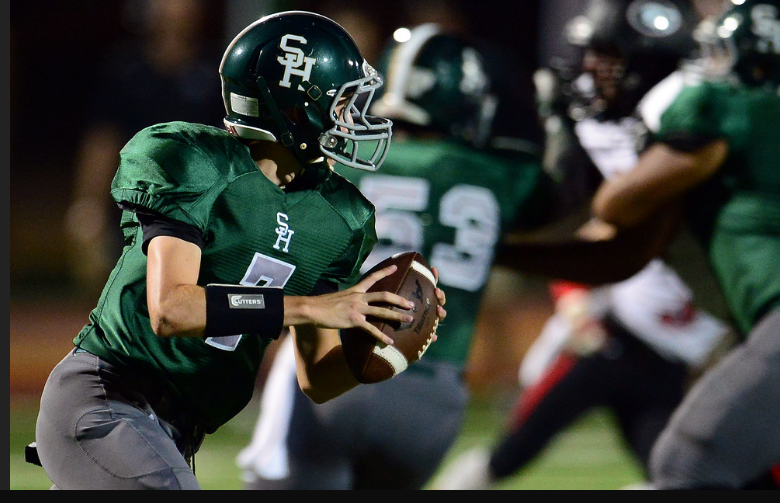 Sources have confirmed that sophomore quarterback Dylan O’Leary has checked out of South Hills and is expected to transfer to Charter Oak. No word on whether O’Leary will be eligible at Charter Oak this season, it likely will depend on how Charter Oak files his transfer and whether or not South Hills challenges. Charter Oak (5-0) is undefeated and ranked No. 1 in Division 4 and opens Hacienda League play next week against West Covina. O’Leary’s transfer comes two weeks after Charter Oak senior quarterback Bret Clemetson broke his collarbone and is likely lost for the season. 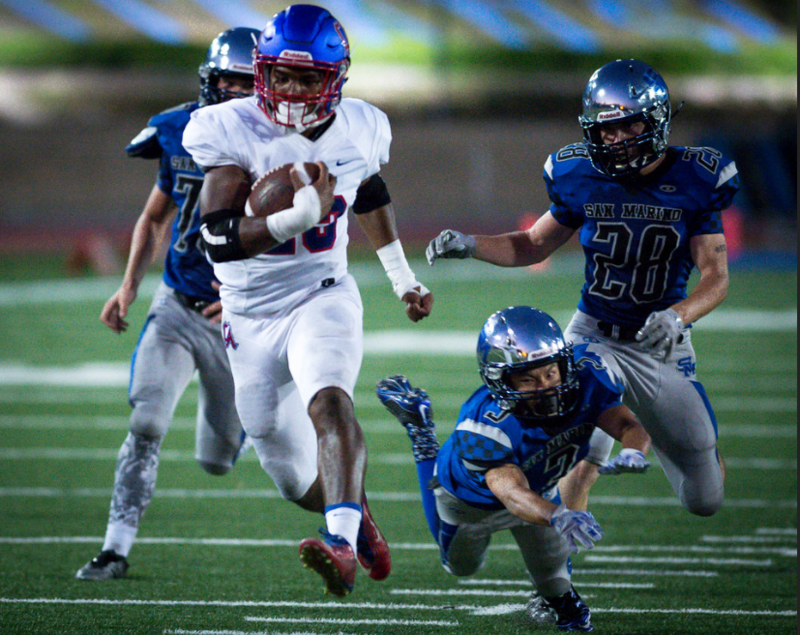 After dominating its first four opponents, Charter Oak struggled in a 35-21 victory over South Hills last week, a game South Hills briefly led 21-14 in the fourth quarter. O’Leary didn’t start or play in South Hills’ lost last week, but he threw for 104 yards and two touchdowns in a 75-7 win over Temple City a week earlier. 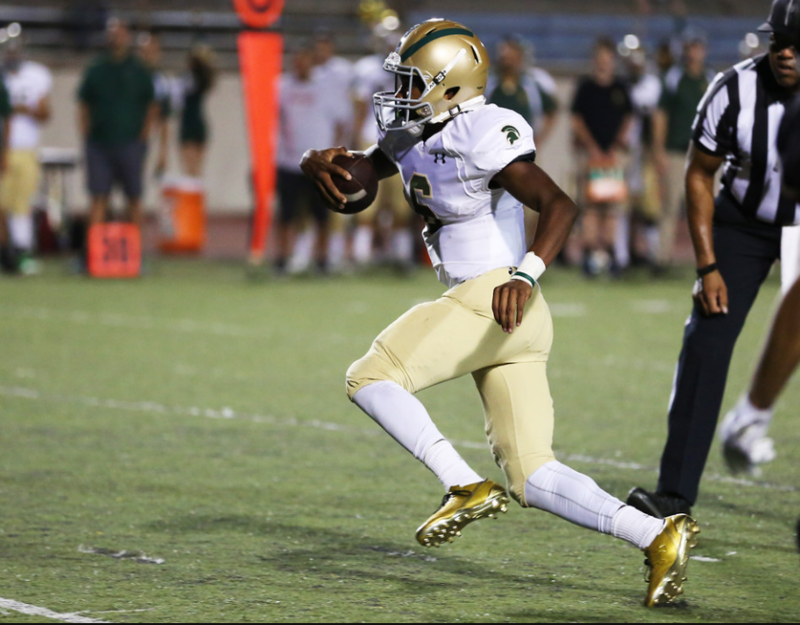 O’Leary played varsity as a freshman last year at South Hills and in six games, completed 79 of 146 for 821 yards and a touchdown, averaging 136 yards a game. An interesting twist to this is that Rancho Cucamonga junior quarterback RJ Stearns recently transferred to South Hills. Stearns is already listed on South Hills’ MaxPreps roster, however he is not eligible yet. South Hills filed the transfer paperwork with CIF, but it is pending a response from Rancho Cucamonga and whether or not it will challenge the transfer … Stay Tuned. Who is Tribune Football’s Mid-Season Most Valuable Player? With more than half the SGV on a bye week and with most leagues starting next week, who is the leader in the clubhouse for the Tribune football player of the year? I’ll list 10 choices in no particular order and you can debate. Steven Comstock, Northview, QB — The junior has thrown for 1,108 yards and 14 touchdowns, averaging 221 yards a game. 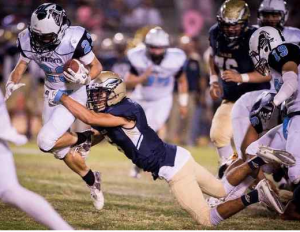 He’s also rushed for 283 yards and that includes a 156 yard rushing performance against Don Lugo, a game in which Comstock led the Vikings on a last-minute game-winning drive in a 35-28 victory. Sal Tovar, South El Monte, RB — The bruising back not only leads the San Gabriel Valley in rushing but he’s second in the state averaging a whopping 245 yards a game. He’s rushed for 1,227 yards and is on pace for a 2,500 yard season. He also has 18 touchdowns for the undefeated Eagles, off to their best start in years. Brian Casteel, Charter Oak, WR/DB — The University of Arizona commit is the undefeated Chargers’ big-game playmaker. His numbers aren’t staggering, but his influence is for the Division 4s top-ranked team. He’s averaging 67 yards with four touchdown receptions, but also has ran for five touchdowns. On defense he has an interception and usually locks down the opposing teams’ best player. Warren Bryan, Damien, QB — Has led the Spartans’ resurgence to a 4-1 record while averaging 258 yards passing with 11 touchdowns. He’s thrown for 1,292 yards and has an impressive 62 percent completion clip. Jacob Camargo, Damien, LB — The Spartans playmaker on defense is averaging 11 tackles per game with an area best 32 solo tackles while averaging a whopping three sacks per game. Those are impressive numbers for one of the best defenses in the SGV. 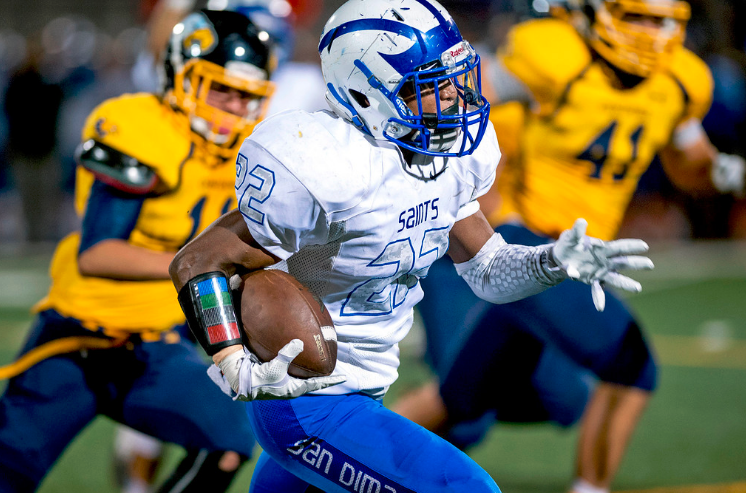 Jarell Sykes, San Dimas, RB — Can do no wrong for the undefeated Saints, averaging 162 yards a game with 650 yards for the 4-0 Saints. He’s scored at least two touchdowns in every game and his stats would be much better but he rarely plays much in the second half because the Saints are winning by an average margin of 40 points. Tyler Nevens, Los Altos, RB — Posting great numbers for the undefeated Conquerors against quality competition. He’s rushed for 1,027 yards, averaging 214 yards a game with a Valley best 19 touchdowns. In last week’s game he turned up the volume even more, rushing for 263 yards and 5 touchdowns to earn SoCal Prep Legends athlete of the week. 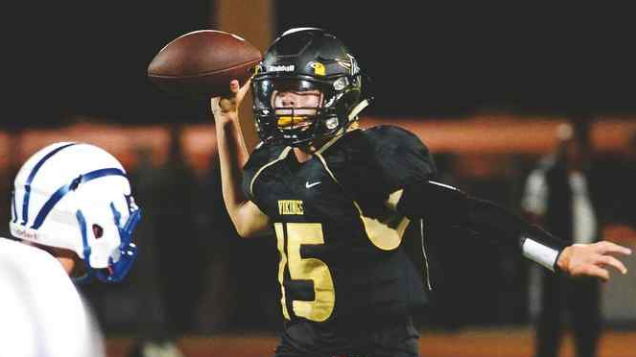 Marcus Ruiz, Bassett, QB — Bet you didn’t know the Olympians quarterback leads the San Gabriel Valley in passing with 1,492 yards, averaging 290 yards per game with 14 touchdowns against just three interceptions. Great numbers, only problem is the Olympians have no defense and they’re 0-5. Antwaun Ayers, Northview, WR — The Vikings receiver is electric, having caught the game-winning ball in the final seconds to beat Don Lugo. He leads the SVG in receiving yardage with 633 and touchdowns caught with 9. He’s averaging 126 receiving yards to boot, also best in the Valley. Andrew Carrazco, Nogales, WR/DB — The Nobles are undefeated for the first time in more than 20 years and two-way standout Carrazco is a big reason, leading the SGV with four interceptions. On offense he’s averaging 7.6 yards a carry, but is more of a WR threat with three receptions and a touchdown. Diamond Ranch 3, Charter Oak 0 — Morgan Henderson had 11 kills for the Panthers (5-6, 1-1) in a 25-12, 25-18, 25-18 Hacienda League match. Gladstone 3, Azusa 0 — Lisette Ramos had 11 kills and Celina Vargas had 10 kills and three aces for the Gladiators (14-2, 2-0) in a 25-9, 25-14, 25-20 Montview League match. Garey 16, La Puente 2 — The team of Brenda Cortez and Nita Try swept in doubles and Tien Nguyen swept in singles to lead the Vikings (12-1, 8-0) to the Miramonte League victory. Diamond Ranch 10, Charter Oak 8 — Beatriz Ponce and Diana Godinez swept in singles for the Panthers (3-0) in a Hacienda League match Tuesday. Montview League — German Vega had a second-place time of 17 minutes, 6 seconds and Daniel Luevano was third in 17:55 as the Azusa boys won the league meet. Montview League — Flor Aguirre (23:00) placed third and Jackie Alvarez (23:23) took fifth to lead Azusa to win the first league meet of the season. Bishop Amat 230, Pomona Catholic 318 — The Lancers (5-0, 4-0) had the top five finishers at San Dimas Canyon Golf Course to defeat the Pacers in a Camino Real League match. Veronica Trujillo led the way with a 39, Sharon Chen shot 40, Diana Delgado shot 41, Alyssa Ruiz shot 53 and Maya Payan shot 57.